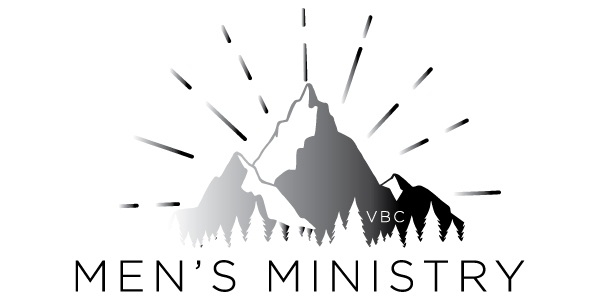 Men’s Retreat 2019 is a three day adventure in our local mountains at an epic new location! Cost is reduced this year and all in one weekend you can join friends to do the zipline, climbing wall, play sand volleyball, tennis, indoor basketball, visit the games arcade, go canoeing, mountain biking, or trail running, and new to this year will be the Manly Games! And … BEDS!!! All that combined with the same optional Friday golf, awesome worship, teaching and bro-time makes for a pretty all-time weekend! Our theme this year is “Resolve” taken from Proverbs 1:23. A yearly retreat is a vital tool to our spiritual lives as men so make sure to join us! Questions? Contact Pastor Clarke Brogger. 7:00 a.m. Meet at Quail Hill basketball courts. Contact Steve Whitson with questions, or for additional info. February 27, March 27, 6:15-7:30 a.m.
For all men in their 20’s and 30’s. Come for the donuts, stay for the bro-time. Monthly Wednesday mornings in the Fireside Room at Voyagers. Contact Pastor Clarke with any questions. These groups are designed to help bring you into a closer, trusting relationship with Jesus and to equip you to fulfill God’s plan for your life. To join a group, contact Chuck McCutchan. It’s definitely worth the early-morning effort! You’ll find yourself encouraged and challenged to be the man God has called you to be as you’re led by Pete McKenzie and the Influencers team. Free coffee and donuts are offered, and optional prayer begins at 6:00am. Contact Pastor Clarke Brogger, or go to the Influencers page. FAST | Monday, January 21 kick-off! Fathers and Sons Together – for all dads and their sons aged 6th grade and above. Join us for an informational meeting, Sunday, February 10, 12:15 p.m. in the Fireside Room. There will be PIZZA! Meet with others of the same life stage and walk through the responsibility of “dad-ship” together. Questions? Contact Pastor Clarke Brogger. Great basketball, good, clean, competitive fun – what’s not to like? All skill levels are invited. Contact Peter Torrey for details, or just show up ready to play.